Haq's Musings: Indian Hindu Nationalists' US Envy: "Surgical Strikes" in Pakistan? Indian Hindu Nationalists' US Envy: "Surgical Strikes" in Pakistan? Since Osama Bin Laden's death in Pakistani town of Abbottabad on May 1, 2011, I am seeing a dramatic increase in cyber activity by many Indians manifesting itself as a constant stream of anti-Pakistan hateful commentary being posted on almost all major news discussion forums. India’s prime minister greets the Mi-25 helicopters carrying Indian Navy MARCOS commandos. He shakes hands with the returning troops, congratulates and thanks them. For the photographers, he holds up his thumbs, “Mission Accomplished”-style. The MARCOS are returning from Pakistan where they took out some of India’s, and the world’s, most wanted terrorists. That was the story that didn’t happen yesterday or the week before or the month before or the year before or the decade before that. It’s the story that some, perhaps many, Indians have wished to read. It hasn’t happened but the chances of it happening have gone up slightly. Prior to this latest episode of wishful thinking, I had heard of India’s “Israel Envy”, a phrase coined by former Indian minister Sashi Tharoor immediately after Mumbai terror attacks in 2008. Now it seems that gung-ho Indians like Prashant are also suffering from India’s “America Envy”. Since I wrote above piece in 2011, the 2014 election of Hindu Nationalist Prime Minister Narendra Modi has further emboldened the likes of Prashant among Indian policymakers. They are playing with fire that will burn them along with others in the region. 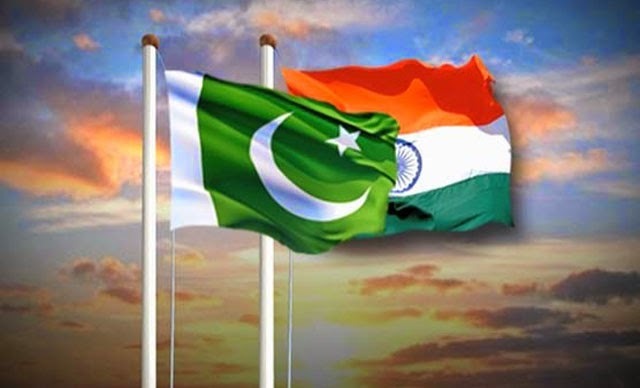 I sincerely hope better sense will prevail in New Delhi and Modi and his Hindu Nationalist government will choose to return to dialog with Pakistan without pre-conditions to discuss all issues, including the core issue of Kashmir. India's Israel Envy: What If Modi Attacks Pakistan? Another post where Mr. Haq loves to talk to himself about the islamic superpower Pakistan. The funny thing is that in the last decade internal terrorism has killed more Pakistanis than India, yet India is all time #1 enemy for them. Khair aapkee marjee. Congressman Darryl Isa: #India envies #America's poor. Our poor are envy of the word. RK: "The funny thing is that in the last decade internal terrorism has killed more Pakistanis than India, yet India is all time #1 enemy for them"
What you call "internal terrorism" is committed mostly by India's proxies. As US Ex Defense Secretary put it, "India has always used Afghanistan as a second front against Pakistan. India has over the years been financing problems in Pakistan". Long time Indian spook and current NSA Ajit Doval has essentially confirmed it in his speeches. Speaking in India Today's Seedhi Baat, (former home secretary and BJP MP RK) Singh stirred a hornet's nest when he revealed, "An operation to eliminate Dawood Ibrahim was being planned, before it was blown by actions of some Mumbai cops. Ajit Doval was involved in the operation." The plot goes back to 2005. Current National Security Advisor Ajit Doval had retired as director of the Intelligence Bureau in January that year. News broke that Dawood's daughter Mahrukh was to marry Pakistani cricketer Javed Miandad's son Junaid. The Nikah was to be performed at Mecca on 9 July while the Walimah (reception) was fixed for 23 July at the Grand Hyatt in Dubai. As soon as Indian intelligence agencies got wind of Dawood's plan, a plan was hatched to eliminate the don in Dubai. IB officials felt that this was their best chance to eliminate him, as it was very rarely that they had specific information about where India's most wanted man was going to be. By the middle of 2000, international pressure had begun to mount against Pakistan to act against Dawood Ibrahim who had been designated by the United Nations as a globally wanted terrorist. It had become difficult for Dawood to move in and out of Pakistan easily. But there was no way he was going to skip the reception. The government wanted full deniability in case the plan went kaput and so a decision was taken to engage members of the Chota Rajan gang instead of sending commandos. Doval was made in charge. Chota Rajan had split with Dawood after the Bombay blasts of 1993 and was looking for a chance to avenge the attack on him in Bangkok in 2000 for which he deputed two of his trusted men Vicky Malhotra and Farid Tanasha. According to Singh, the men were trained at a secret location in India and a plan to eliminate Dawood was finalised. Tanasha and Malhotra were given fake travel documents and tickets to reach Dubai. But that's when things started to go wrong. Unknown to the Intelligence Bureau officials, cops in the Mumbai police got to know about the presence of members of the Chota Rajan gang in India. Singh alleges that Mumbai police officers deliberately sabotaged Operation Dawood because of their close ties with the gangster. However, according to media reports of the time, Deputy Commissioner of Police in the Mumbai Crime Branch Dhananjay Kamlakar was despatched to Delhi by his seniors with the explicit instruction to arrest the members of the Chota Rajan gang. Kamlakar later said he was told that the Rajan gang members had entered India to eliminate a politician or top businessman. The IB's plan was ready. One afternoon when Doval was doing a final briefing of the Rajan gang members, Kamlakar's team dashed into the hotel. At that time the three of them were reportedly poring over the blueprint of the Grand Hyatt hotel to determine the best position to install the sharpshooters. Doval reportedly lost his cool and tried to explain to the cops who he was but Kamlakar arrested Tanasha and Malhotra and took them to Mumbai. Doval was forced to back off. One of the most audacious operations to eliminate the underworld don unravelled because of an ugly turf war between India's security agencies. The next morning the incident was widely reported in the major national dailies. Later when asked Doval for his reaction, the super sleuth denied all knowledge and said that he had been watching TV at home at that time. Singh says that India should not be disheartened because one operation did not materialise. Mani Shankar Aiyar Op Ed: "With Pakistan, Modi's Big Own-Goal"
In any case, if Modi remains mired in the belief that the Hurriyat issue is more important than putting India-Pakistan relations back on track, why did he not ascertain categorically from Nawaz Sharif in Ufa whether Nawaz had abandoned the Hurriyat track? Why seek dialogue at any level before first sorting out the tangled issue of Pakistani interaction with the Hurriyat? Had Nawaz remained as intractable on talking to the Hurriyat as Modi is on Pakistan not talking to the Hurriyat, was it not totally counter-productive to set up a dialogue process without sorting out the basis on which the dialogue would move forward? Should this not have been quietly resolved at Foreign Secretary level when Dr. S. Jaishankar went to Islamabad? Especially as poor Sujata Singh had been unceremoniously sacked just to make way for Modi's favourite IFS officer as her replacement? Clearly, for Modi, the Hurriyat is more a red herring than a red line. He does not want to engage with Pakistan because his RSS background and his RSS masters detest Pakistan. Until that changes (and it won't), one can kiss goodbye to any significant improvement in relations with our most important neighbor. We are on the edge of nuclear annihilation because the Prime Minister, in pursuit of Hindutva, wants 'Hindudom' (Savarkar's own translation of the word he had coined). The longer term damage to India-Pakistan relations is that where for the first 50 years of Independence, it was the Pakistanis who were a one-issue country, insisting that unless and until Kashmir were resolved there was no point in moving on any other matter, it is now we who have become the one-issue country. Perhaps the biggest breakthrough in India-Pakistan relations was in 1997 when, under Inder Gujral as Prime Minister and Foreign Secretary Salman Haider as the principal negotiator, there was the fundamental breakthrough at Murree that there would be a "composite dialogue" in which all issues would be tackled across the board, including terrorism and Kashmir (which, since Shimla 1972, we had agreed to talk about bilaterally). Unfortunately, the "composite dialogue" process had lurched forward on a stop-go basis for the last 18 years in the course of which Modi has apparently forgotten that it was we who had wanted to talk about everything and now it is we who want to talk of nothing but "terrorism". That might be a worthwhile objective if it were feasible. Whether or not it was feasible should have been tested in advance instead of being slipped in through sleight of hand at the last moment. We claim the Ufa statement said the NSAs' talks would be about "all issues related to terrorism", and stress the last word. The Pakistanis, for their, part, stress the first two words "all issues" - and argue that to discuss terrorism without reference to Kashmir is to miss the bus altogether. Indeed, it is we in India who have long stressed that terrorism in Kashmir is the major issue. What terrible drafting that the two sides can literally pick two ends of the same sentence to argue past each other! That is what happens when there is not adequate PREPARATION. Modi's foreign policy has brought his own personality centre-stage to the neglect of institutions, making all important decisions HIS decisions and all important moves HIS moves. The Foreign Office has been sidelined. Professionalism has been cast to the winds. The External Affairs Minister has been rendered a decorative irrelevancy. And in place of a team of advisers, a policeman (Ajit Doval) has been dragged in as Man Friday. Is this how foreign policy should be run? By contracting it out to the Indian Police Service? Raza: "Zara yeh tau dekhiye http://indiafacts.co.in/raza-rumi-when-silence-is-murder/"
This guy Tufail Ahmad is a fake liberal and a sell-out. Real liberals, including Indian liberals, blame Modi's hardline policies as being the cause of NSA talks cancellation. Op ed pieces by Mani Shankar Aiyar, Sushil Aaron and Praveen Swami agree with your analysis. USA is going to tell Pak to stop being a haven for terrorists who operate in neighboring countries. Wonder why USA does not tell India the same, if you are so convinced that it is India causing internal terrorism in Pakistan. RK: "USA is going to tell Pak to stop being a haven for terrorists who operate in neighboring countries." This is from Saeed Shah of Wall Street Journal quoting un-named sources, not named US officials publicly speaking on the subject. What is known and official confirmed is that the US is selling over a dozen Viper attack helicopters to Pakistan. Pakistan’s Defence Minister on Sunday warned India that it will suffer “heavy losses” which it would “remember for decades” if it tries to “impose” a war on his country. Defence Minister Khawaja Muhammad Asif said “Pakistan’s armed forces will defend every inch of their motherland at every cost”. He was talking to media during his visit to village Kundunpur along the international border in Sialkot. “If India tries to impose war on Pakistan, heavy losses will be inflicted on India which it will remember for decades,” the Minister said. Mr. Asif said “cowardly acts” by Indian forces have strengthened the determination of the nation to defend the motherland, state-run Radio Pakistan reported. “India’s real face is exposed as it is supporting terrorism in Pakistan and creating tension on borders through unprovoked firing along the working boundary and line of control,” he said. His comments came in the backdrop of heightened tensions along the border and LoC after Pakistan called off NSA-level talks set for August 23 when India made it clear that discussions on Kashmir and a meeting with separatists will not be acceptable. Mr. Asif alleged India is diverting attention from its “internal failures” by creating tension on the borders. He claimed that Pakistan has proof of India’s interference in the country which he said Prime Minister Nawaz Sharif would present at the U.N. General Assembly meeting in September and to the U.S. leadership during his visit there in October. Tufail Ahmad, the Director of South Asia Studies Project at the Middle East Media Research Institute, Washington DC, has recently gone on a rampage against Raza Rumi calling him a “fake liberal” and an “ISI” agent. Raza has advised against this response but I am writing this in the exercise of my freedom of speech. Tufail Ahmad is saying the aforesaid about a person who has always spoken out for the rights of minorities, women and marginalized communities in Pakistan and who almost lost his life for speaking out unwaveringly for the principle. Have some shame at long last. The nerve of this BJP stooge, this shameless uncle Tom, this apologist of Modi’s fascist world view to turn around and attack a person like Raza Rumi and to accuse him of working for the ISI. What passes for a liberal in extreme Indian right wing eyes is if you basically bow down and kiss Indian arse and not under any circumstances criticize Indians or Indian policy where you feel it is wrong. In this world view everything about Pakistan is wrong and everything about India is right. And if you dare disagree with the Indian right wing paradigm you are likely to be hounded by shrill accusations that you work for ISI. This is McCarthyism 2.0. This is the Tufail Ahmad doctrine of dealing with Pakistanis – by setting the narrative in a way that is perpetually skewed against Pakistan and Pakistanis. If you are a self respecting Pakistani or have an opinion even slightly critical of India, you are precluded from being a liberal or at least a real one at any rate. Or perhaps the real reason why Tufail Ahmad is on Raza Rumi’s case is because last year I exposed his pedaling of lies by AQ Khan and Shorish Kashmiri. This useless specimen of humanity began insulting me and attacking Raza. To date however, he has not produced the original copy of Chattan weekly which Kashmiri referred to in his book and which was the basis of the dispute. There is no civil society in Pakistan, only a handful of progressive writers, especially women; if there is one civil society in Pakistan, it is controlled by religious groups and shepherded by the army. Pakistani civil society does not exist according to this jerk. Pakistani civil society which has faced down violence, military rule and the Mullahs does not exist, because Tufail Ahmad says so. Forget Asma Jahangir, Hina Jilani, Habib Jalib and other countless heroes in Pakistan are only a “handful of progressive writers”. Come to think of it I cannot even count a handful of progressive writers in India. Pakistan Air Force has sent a follow-on foreign military sale contract to Lockheed Martin to produce and upgrade Sniper Advanced Targeting Pods (ATP) for its F-16 fleet. The contract includes the upgrade of Pakistan’s existing 22 Sniper ATPs as well as the production of 15 new Sniper ATPs. Delivery will begin late in 2015 to satisfy Pakistan’s urgent operational needs. Upgrades will also begin in late 2015 and they will increase compatibility with the aircraft and enable enhanced features. Sniper ATP enables pilots to have high-resolution imagery for precision targetting, surveillance and reconnaissance missions. It also detects, identifies, automatically tracks and laser designates small tactical targets at long ranges. Apart from that, it also enables the use of all laser and GPS-guided weapons against various fixed and moving targets. Further, Sniper ATP can be operated on multiple platforms, including US Air Force and multi-national F-15, F-16, F-18, A-10, B-1 and B-52 aircraft. A General who led the Indian Army on ground in the Kargil conflict, has broken his 11-year silence to say that he believes India actually lost the war in strategic terms. In an exclusive interview to NDTV, Lieutenant-General Kishan Pal, who was then the head of the Srinagar-based 15 Corps, says India has failed to consolidate its tactical gains. Asked for his assessment of the conflict 11 years later, Gen Pal told NDTV: "Well for 11 years I did not speak at all...I did not speak because I was never convinced about this war, whether we really won it...We did gain some tactical victories, we regained the territories we lost, we lost 587 precious lives. I consider this loss of war because whatever we gained from the war has not been consolidated, either politically or diplomatically. It has not been consolidated militarily." Gen Pal was recently in a controversy involving the battle performance report of one of his juniors, Brigadier Devinder Singh. In a bizarre incident, a fighter jet accidental dropped five bombs over Gugdi town in Rajasthan’s Barmer district on Tuesday. The sound of the explosion was heard in a 10 km radius. No casualties have been reported as of now. Initial reports suggested that the bombs were slipped out of the fighter jet which was on a sorties over the area. Meanwhile, a team of Indian Air Force (IAF) left for the site where five bombs dropped from a fighter plane over Gugdi. An inquiry has been ordered to probe the blunder made by IAF jet. More details are awaited. Fortunately, bombs were dropped over an isolated place otherwise it could have caused huge devastation. On the Republic Day day when Indian Air Force that displayed 27 mighty aircraft, three C-130J Super Hercules transport aircraft, five Jaguar combat planes and a Su-30MKI fighter to show India’s military strength, the incident in Gudge can be considered a major embarrassment. A dogfight between two aircraft is perhaps the most fascinating type of combat. The technical knowledge and precision required to operate a fighter aircraft combined with the physical and mental strain of a dogfight make the fighter pilots who excel at them truly exceptional. Unofficially, a flying ace is a fighter pilot who shoots down at least five enemy aircraft, though the number a single pilot can achieve has steadily decreased because anti-aircraft and tracking technology has made dogfights rare in modern warfare. From Erich Hartmann, the Nazi fighter pilot credited with the most aerial victories of all time, to Giora Epstein, the ace of aces of supersonic jet pilots, these men are among the most skilled fighter pilots to ever enter a cockpit. Muhammad Mahmood Alam was a Pakistani Air Force jet fighter pilot in the Indo-Pakistani War of 1965. He was the last fighter pilot to become an ace in a day, shooting down five Indian Hawker Hunter fighter jets in less than a minute on September 7 1965, the last four of which he downed within 30 seconds. A national hero in Pakistan, Alam holds the world record for becoming an ace in the shortest amount of time. This bold feat also makes him the only jet pilot to become an ace in one day. Alam was already a respected leader and proficient pilot and gunner when the war started in April 1965. He piloted an F-86 Sabre and downed a total of nine Indian Hawker Hunters in the 1965 war, as well as damaging two others. India has the "dubious honour" of being the second most ignorant nation in the world after Mexico, according to a survey which posed questions on issues like inequality, non-religious population, female employment and internet access. The survey conducted by Ipsos MORI, a London-based market research firm, polled 25,000 people from 33 countries and found that while people "over-estimate what we worry about", a lot of major issues are underestimated. Mexico and India receive the dubious honour of being the most inaccurate in their perceptions on these issues, while South Koreans are the most accurate, followed by the Irish," the survey said. The rankings of the nations were based on the "Index of Ignorance" which was determined by questions about wealth that the top 1 % own, obesity, non-religious population, immigration, living with parents, female employment, rural living and internet access. Most Indians "underestimate" how much of their country's wealth is concentrated in the hands of the top 1%, the survey said, adding that the top 1% actually own an "incredible" 70 % of all wealth. The survey also found that most Indians "hugely overestimate" the proportions of non-religious people in the country to be 33% when the true figure is under 1 %. While Israel significantly underestimates the proportion of female employment (by 29 % points), people in countries like India, Mexico, South Africa and Chile all think of more women in work than really are, it said. India fell in the list of nations which overestimate representation by women in politics. Countries like Columbia, Russia, India and Brazil all think there is better female representation than there really is, the survey said. However, the Indian population seriously underestimates the rural population of the country and thinks more people have internet access than in reality. In India the average guess among online respondents for internet access is 60 per cent - an overestimation of the true picture of 41 percentage points, the survey added. To provoke a somnolent establishment into action, your message has to be blunt. There cannot be a more blunt warning to India’s political leadership and defence establishment than what Pravin Sawhney and Ghazala Wahab have delivered in their admirable and unsparing book Dragon On Our Doorstep: Managing China Through Military Power (Published by Aleph, Pages 458, Price Rs 799). Let alone China, India cannot even win a war against Pakistan. Yes, you read that right. Dragon On Our Doorstep could be a little misleading title since the authors are not only discussing the China threat but India’s defence strategy. In full play is Pakistan, Kashmir and the red menace, the greatest threat India is facing, as former Prime Minister Manmohan Singh put it. Sawhney and Wahab say that in terms of threat, Pakistan is China and China is Pakistan, pointing out especially the ‘inter-operability’ that both military forces have achieved. What else makes Indian defence forces vulnerable? Since the defence forces are outside the government, they have little interaction with the political leadership in peacetime and little say in the acquisition of conventional weapons. The defence services have little knowledge and understanding of their own nuclear weapons and Pakistan’s nuclear redlines. As India does not have an efficient indigenous defence industry, war supplies are not assured. All these, for an average reader, sound pretty scary. The authors also examine India’s foreign policy in relation to China and Pakistan and criticise Modi for his failure in not rising as a statesman prime minister to transform India into a leading power. Modi’s foreign policy, the authors say, is more optics than substance. They say that ‘Act East, Think West’ policy is hampered by the perennial failures in strategic thinking and a lack of appreciation for military power. They pick on India’s foreign aid policy and say that if our neighbours are neither deferential nor deterrent there is something amiss. Sawhaney and Wahab argue that aid is seldom given to fulfill the needs of the recipient. It is given to meet the requirements- strategic in the case of nations- of the giver. And if the requirements are not met, you increase the aid or diversify it. They also say that India is the only country in the world where foreign policy with nations having disputed borders- China and Pakistan- is made with regard to military advice. All these criticisms should rile the defence establishment and the bureaucrats who have straitjacketed India’s foreign policy.